These mitts are designed for boxing training and incorporate Everlast’s mantis design, with a curved striking surface which improves the feel when you’re hitting and sets the holder up for catching punches. They also include Everlast’s Evercool mesh system to keep the holders hands cool, and Everdry moisture absorption lining around the hand of the pad holder. They’re only available in one colour – black, grey and yellow and in a single size. I love the look of these pads, the striking surface and ‘glove’ section are all a dark grey, with a striking target and ‘Evergel’ printed across the bottom. The rest of the synthetic leather is black, with ‘Everlast’, and the Everlast logo, printed across the top of the fingers, and ‘greatness is within’ across the wrist strap. The stitching at the bottom of the pad, Evercool mesh, Everdry lining and the striking target on the front are all in a bright yellow, which offsets the darker colours really nicely and gives them a sleek, modern look. It’s not listed on the Everlast websites description of the mitts, but they’re made from a synthetic leather, which cold effect the durability long term, but for the time I’ve been testing them they’ve held together nicely. They also feature the Everdry anti-moisture and anti-bacterial lining, to keep them from smelling for longer, and the Evercool mesh that Everlast build into a lot of their products, which will also help with keeping the inside of the mitt fresh and your hands cool when you’re holding them. They’re packed with Everlast’s Evergel padding giving good protection for both the striker and the holder. 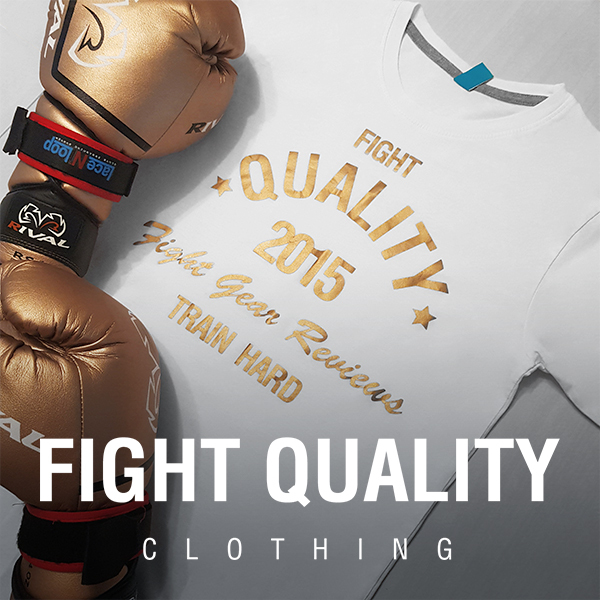 This is the weakest area of the mitts, a common theme with the cheaper Everlast equipment. There are quite a few stitches that have pulled loose, and the holes that have been punched for the larger stitching across the bottom of the striking surface have been pulled and stretched slightly, which I can easily see getting worse the more the mitts are used. These drawbacks aside, the mitts are fairly well put together, they’re neatly made and fit nicely. Other than these few drawbacks the rest of the craftsmanship does look good, the stitching is neat and the panels are cut neatly, but the overall impression is that these mitts have been mass produced and the emphasis was on quantity rather than quality. When you’re striking these mitts it feels great, the mixture of the mantis curved design and the firm Evergel padding gives great feedback for each of your punches and makes a beautiful snapping sound and the circular strike target in the centre of the mitt helps you work on your accuracy. These are, surprisingly, some of the most comfortable pads I’ve tried out. Everlast have done well with the mesh and anti-moisture lining helping to keep your hands cool, and you can get a really good fit thanks to the built in Velcro wrist strap – a tight fit is the first thing I look for in a set of mitts or pads. They also feature a built in thickly padded wrist support, which really helps absorb the impact of the punches and stops your wrists from taking too much punishment. 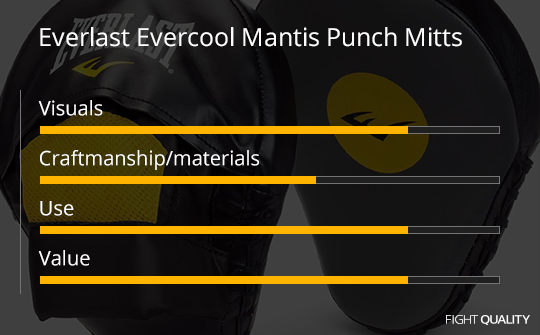 The Everlast Evercool Mantis Punch Mitts sell on the Everlast website for £30, however can often be found found elsewhere for under £20. I’d rate these as good value for money – as a beginner looking for a set of pads to do some extra striking work they’re ideal, however a trainer looking for a mitts for their gym might be better going for a real leather pair, as they tend to be more durable than synthetic variants.